Some of you may know I have been traveling in New Mexico this month. I have done a lot of sketching, and I plan to get a post up with lots of sketches soon. 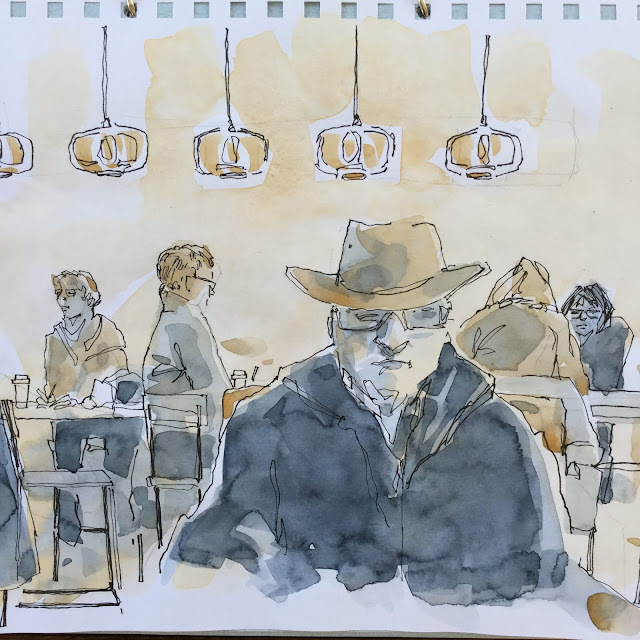 But I wanted to put up these sketches I did with the USk Albuquerque-Santa Fe chapter on Saturday. The first thing I do when I travel is check for a local USk group - and I lucked out here. I had to laugh when the organizer, Jay, said it wasn’t going to be a very exciting sketch outing and, because of the cold, they were meeting at a Starbucks! Just like home, except for the cowboy hats! But I had a great time with lots of chat about art supplies, sketching and I even found someone to reminisce about Porto with. And it turned out to be perfectly warm if you found a sunny spot outside. 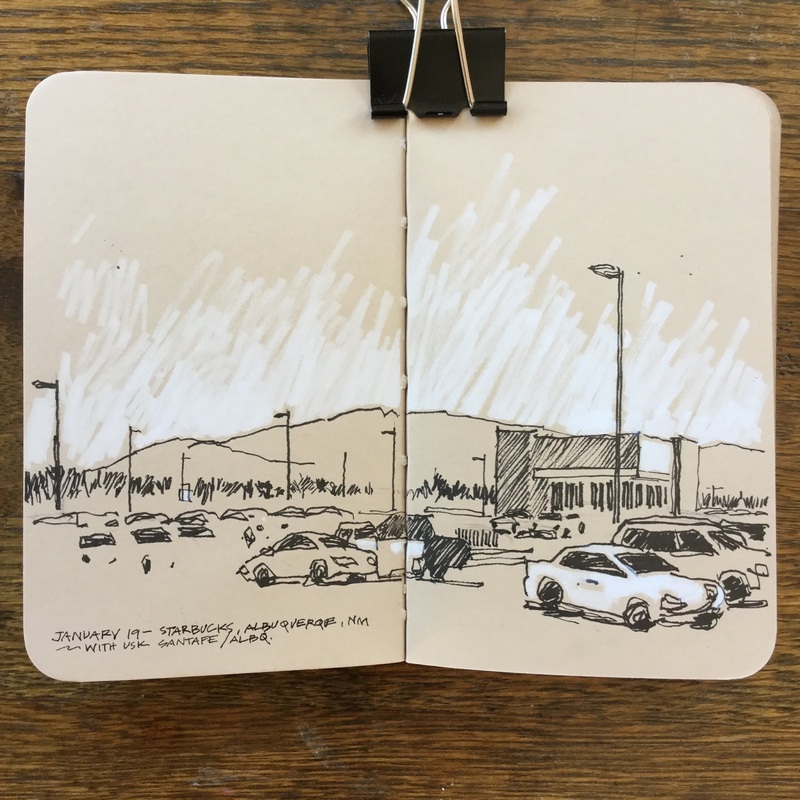 So I sketched the lovely view of the parking lot with Domino’s Pizza in the background. Seriously though, if you are in NM, look these guys up ‘cause they are a ton of fun and they love to sketch!